The History of St. Joseph Parish began in the last days of the Civil War, when a mission was established on Grosse Tete Ridge in 1864. The first chapel building, used for his slaves and their children, was donated by Michael Schlatre. This chapel was destroyed by a storm in 1879, but the original site still serves as St. Joseph Cemetery. Following the devastating storm, the association of wardens who administered the chapel decided to acquire land in the village of Grosse Tete. A chapel was soon erected, and in 1889 the association was forced to relinquish control of the chapel to the Archbishop of New Orleans. In the early years, the church at Grosse Tete was served by the priests from Plaquemine, and occasionally by priests from Brusly and Lobdell. In 1906, Archbishop Blenk erected Grosse Tete into a parish named St. Joseph. Father Francis Badeaux was named the first pastor of the new parish. The first year was an active one for the founding pastor and his parishioners; a rectory was constructed and the chapel was enlarged. In addition, Father Badeaux had responsibility for missions developed at Maringouin, Livonia, and Fordoche. Sadly, the following year the parishioners of St. Joseph once again lost their chapel, this time to a fire. Father Badeaux quickly rallied his flock and a new building of cement blocks was dedicated on Septuagesima Sunday, 1908. This was not the only challenge the people of Grosse Tete would need to overcome in the first half of the 20th century. Repeated flooding, the impact of boll weevils on the cotton, and a decline in the lumber industry all contributed to the decline of the Grosse Tete area economy. In recent years, the mother church at Grosse Tete has seen its daughter missions, Immaculate Heart of Mary at Maringouin and St. Frances Xavier Cabrini at Livonia, become thriving parishes in their own right. In 2004, St. Joseph was clustered with its former missions in Maringouin and Livonia. 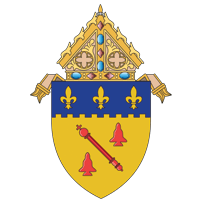 Today, the effort continues to maintain and improve the parish, and since the end of Vatican Council II there has been a new emphasis on enabling the full and active participation of the people in the life of St. Joseph Parish. Everyone is encouraged to become a good steward of God&apos;s gifts.